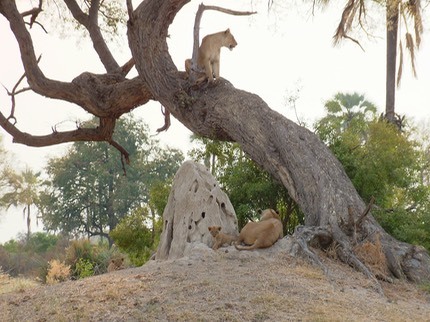 We crossed from Zambia into Botswana for the Okavango Delta where we stayed in two camps. 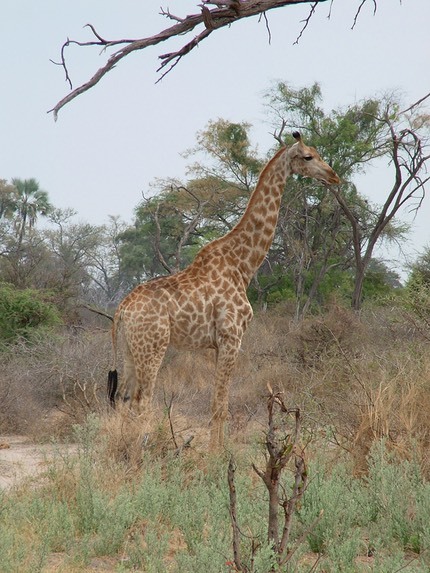 In addition to the animals shown below we also saw Giraffe, Wildebeest, Zebra, Buffalo, Impala, Springbok, Hyenas, Kudu, Bush Baby, Genet, African Wild Cat and other Antelope and Buck species. 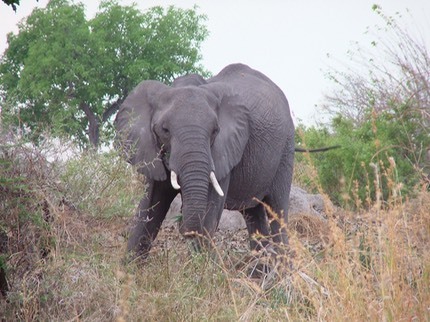 Wildlife and bird spotting at our camps (Sandibe & Nxabega) was superb and we soon had Elephants, Giraffe, Wildebeest, Leopards, Genets, Wild Cats, Buffalo. Lions took a bit longer but we saw quite a few including a couple of cute cubs. We flew between camps in small 5-6 seater aircraft, with quite a bit of staring out of the window from the pilot looking for the landing strips. On one approach we had an elephant on the runway but the pilot confidently said it would move before got there. Fortunately it did. We watched this leopard for about an hour. We had to as our jeep had broken down. Eventually another one from the lodge arrived to tow us out. 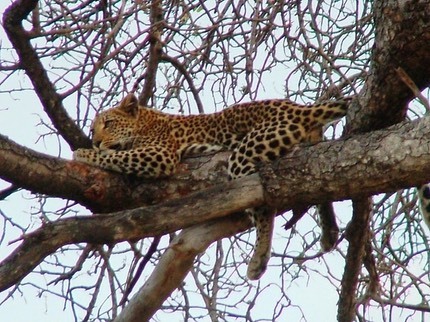 The leopard hardly moved during all this commotion simply turning round for a better view of the strange humans. Lots of bush fires here which brought plenty of hawks and eagles around. 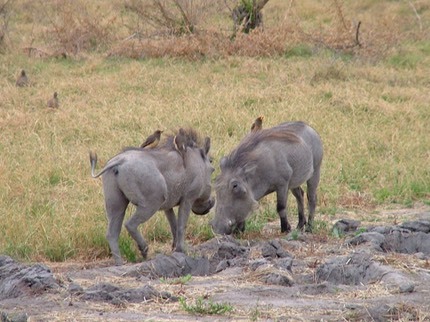 Warthogs are a personal favourite of mine and these cuties (adorned with Oxpeckers) put on a good show rooting around in the mud.